Mondraker has a history of creating great bikes, using the latest in manufacturing processes and Cutting edge technologies. Their bikes have featured some of the largest ratios of performance, rigidity and weight. 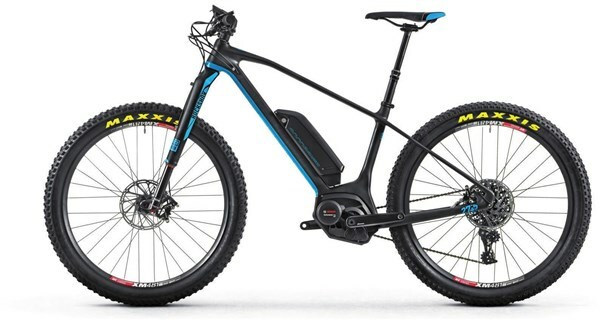 Now Mondraker have turned their attention to the high-end e-MTB category. The e-Prime Carbon has come to set the new standard of reference in the new e-MTB Trail category. For the 2017 e-Prime range of bikes, Mondraker has poured in all of their “know how”. The e-Prime bikes feature Forward Geometry, the latest 27.5+ wheel and tyre combination, Stealth Carbon frame, Boost Technology and all powered by the world leaders in e-bike technologies – Bosch Performance CX.